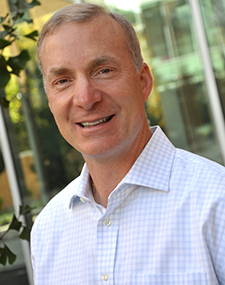 Rick Hardcopf is an Assistant Professor of Operations Management in the Jon M. Huntsman School of Business at Utah State University. Rick received his PhD from the University of Minnesota, MBA from the University of Wisconsin, and BS from Iowa State University. Before joining academia, Rick had an extensive industry and consulting career, working for firms such as 3M, Accenture, KPMG, Deloitte and the George Group. Most recently, Rick ran his own consulting practice focused on the implementation of Lean and Six Sigma. His clients have come from a broad spectrum of manufacturing and service industries. Rick’s research interests include environmental management, sustainability, operations improvement, and operational excellence. His current research examines what constitutes environmental activity, why some firms are more environmentally proactive than others, how implementing environmental management practices impacts environmental performance, and what secondary impacts result from implementing environmental management practices. The objective of the research is to provide environmental stakeholders with information useful for developing new or revised methods to incent firms to be more environmentally responsible. Rick has taught courses on Operations Management, Managerial Statistics, Project Management, Business Process Management, and Process Improvement through Lean and Six Sigma. His hobbies include international travel, coaching youth baseball and hockey, and running.